It’s nice to be able to write about some good weather happening at Easter for once as the last couple of years haven’t been the best with far too many trips being cancelled. 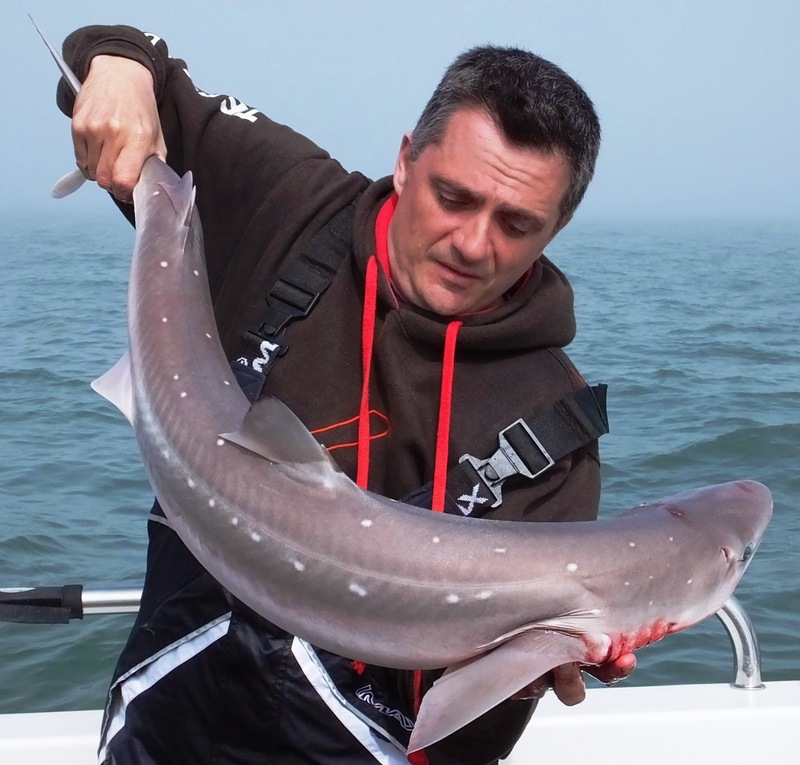 This time around its been high temperatures, low winds and plenty of fish. 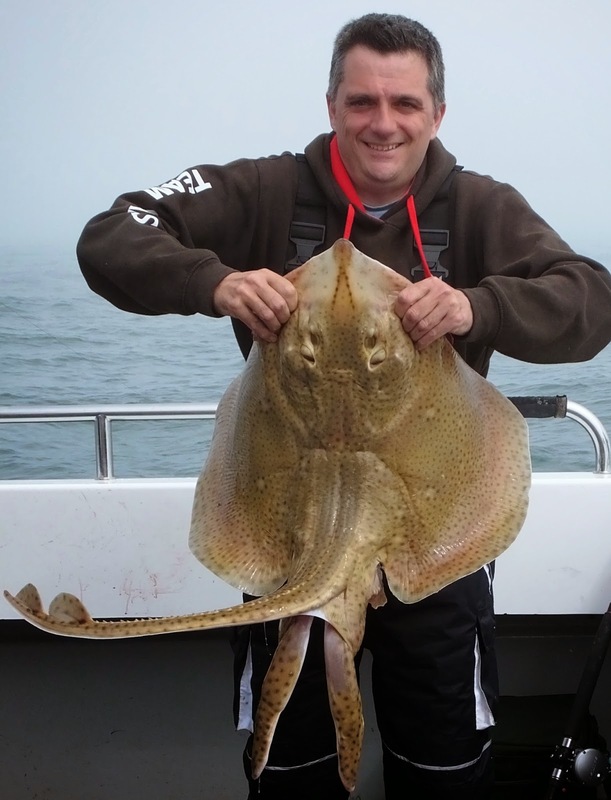 Flatfish such as plaice and turbot have been great fun over the past few weeks, Finley Palmer won the prize money one Sunday with both the biggest turbot and the biggest plaice of the day. The wrecks are fishing very well at the moment due to the amount of sprat shoals that have arrived this season. 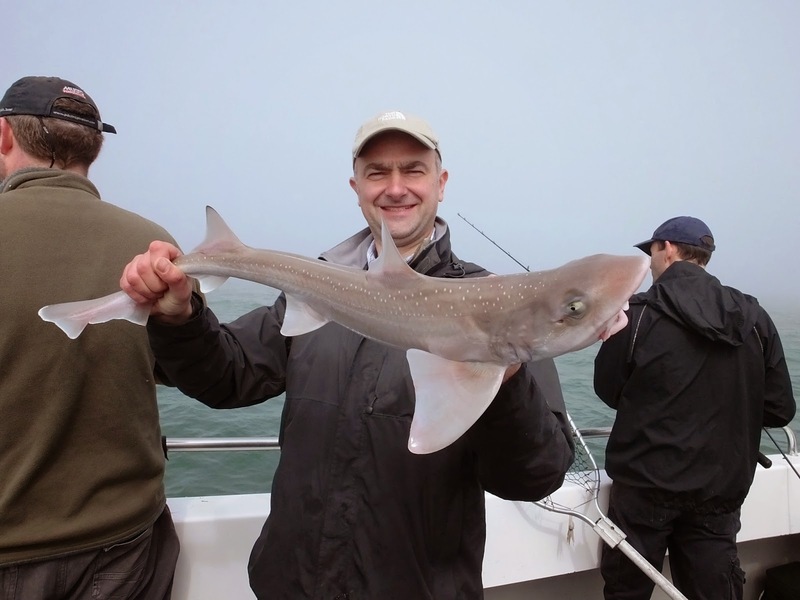 Pollock, ling, congers and even the first of the cod are hitting the deck on both lures and live eels which we have been catching on feathers when venturing further to the west. 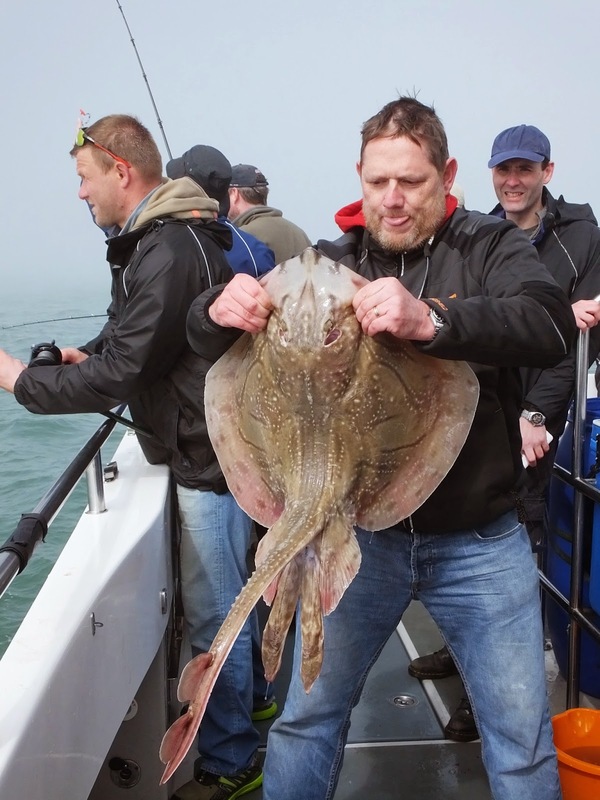 Keen angler Joe Noke showed the more experienced lads how its done recently by landing a 21lb cod whilst others were catching pollock, the biggest cod we have ever had in April. As an added bonus there is an abundance of dolphins around mid-channel feeding on the sprats, we have been treated to some fantastic shows in the calm weather when they are in a playful mood. 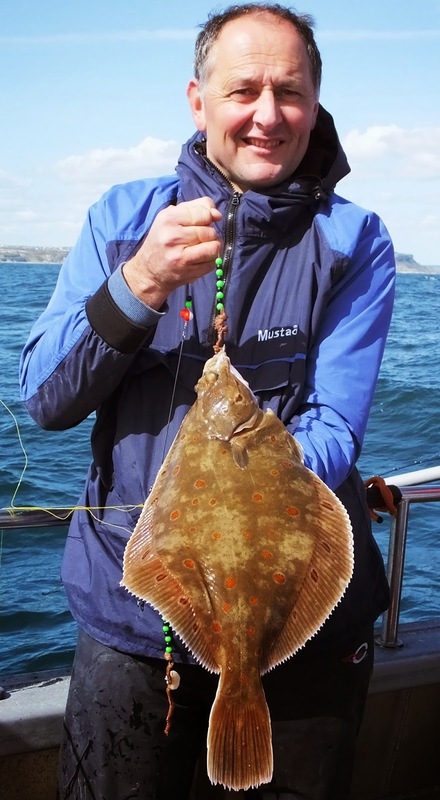 It’s been the most enjoyable April I can remember so far, now all we are waiting for is the start of the black bream which should hopefully find their way to our baits on Sunday!! 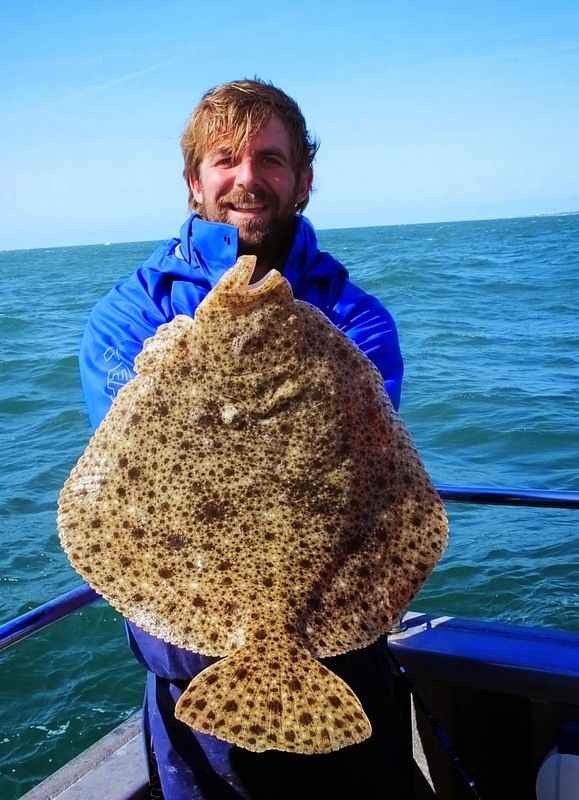 Plenty of flatties moving around at the moment in Poole bay as well as down the west.